Thank goodness for Ryan Reynolds and Hugh Jackman’s playful, witty faux feud, which has become a running theme in their nearly decade-long friendship. It’s such a ray of sunshine in these weird times, and somehow, these two have sustained it for so long that it’s an odd kind of honor. We are amazed. We are in awe. We see you two out here, being all silly. Take, for instance, the potshot that Jackman took at Reynolds on Thursday while promoting his new line, Laughing Man Coffee, on Good Morning America. Entertainment Tonight reported that after chatting with GMA cohost Michael Strahan about the coffee, Strahan asked Jackman about Reynolds’ feverish attempt to reunite his antihero character Deadpool with Jackman’s iconic Wolverine on the big screen. 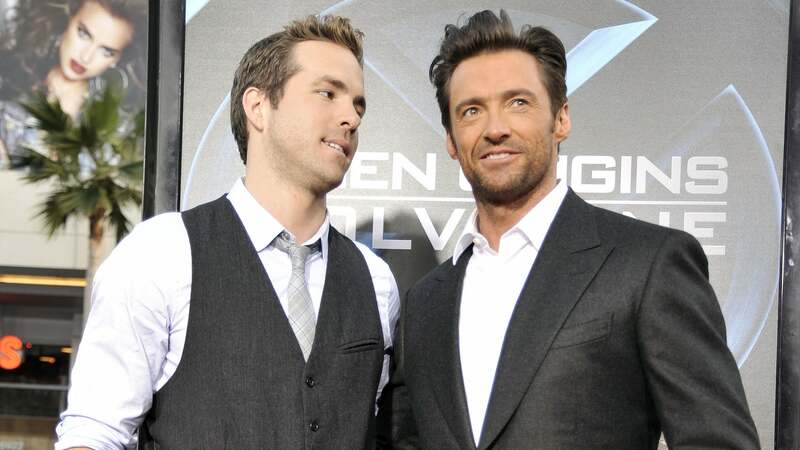 The pair and their respective characters originally starred in X-Men Origins: Wolverine together in 2009, so it makes sense that Reynolds would be clamoring to get Jackman back on board. Jackman, however, saw the opportunity to make a playful dig at Reynolds’ earnest request. Jackman’s public poke at Reynolds comes just weeks after the actor posted a video on his Twitter that featured Reynolds, in full Deadpool attire, lounging on a bed while Jackman attempted to record a happy birthday message. It’s not clear what brought the two besties together, but who cares? The video is nothing short of delightful as Jackman gamely attempts to send a happy birthday message, only to be constantly interrupted by Reynolds singing “Tomorrow” from the musical Annie so delightfully off-key you can’t help but chuckle. It feels like this round of playful banter is only just beginning, so you may want to stay tuned to see who fires the next shot. We can’t make a safe guess as to who it will be, but does that really matter? It’ll be hilarious no matter what.